This model was very fun to work on. 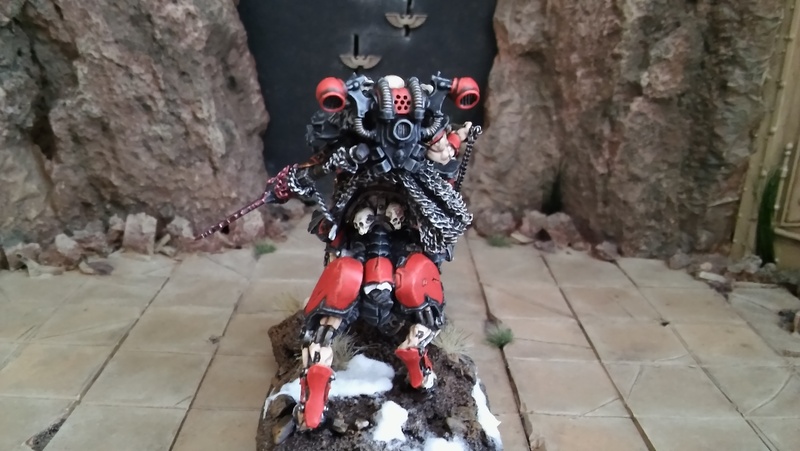 Not only the conversion part, but also painting. I always wanted an Avatar for my Youtube Channel, and I think this is it. So the Juggernaut, left arm holding the hilt of the sword, and the body of the raider are fine cast part of the chaos lord on juggernaut from AoS. The arm holding the chains is from chaos marauders. Its a hand that is holding an axe, so I did some cutting there. The blade of the sword is also from AoS, but not sure from where. Chains are from crafting store. 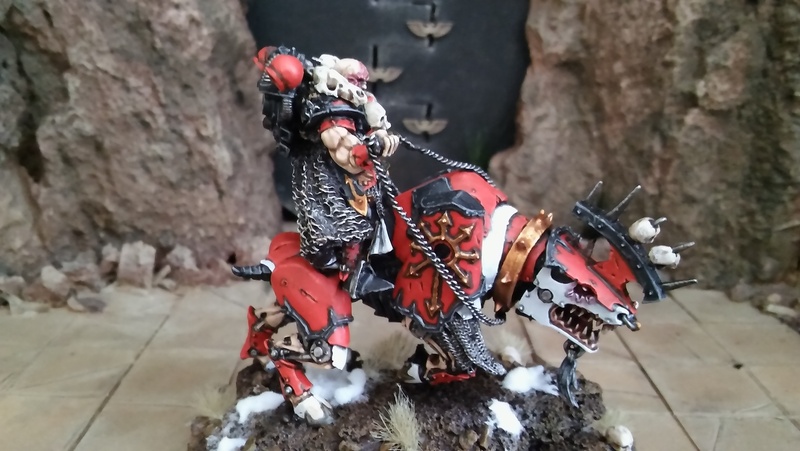 Wolf skulls are space wolves bits, while the skulls on the from part of the armor are from this juggernaut model. I knew what head I wanted the moment I got this model, so I was searching for it for months! When I finally found some one that had it, I had to travel to Finland in order to get it. So all in all, I am very happy with the result, and I hope you will like it to! And here is Chaos Lord Darmamu! My youtube channel! Be sure to chek it our and subbscribe! Lord Darmamu looks great! Did you name him after Dormammu, from Marvel Comics' Doctor Strange franchise? 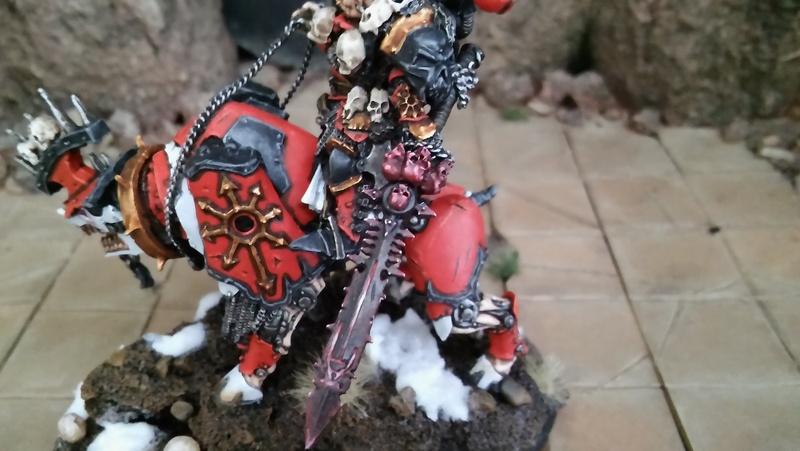 Fantastic looking Chaos Lord, a lotta love when into him and it shows! Wonderful model! I especially like the chain reins and the way he is holding the reins. It connotes power and arrogance. 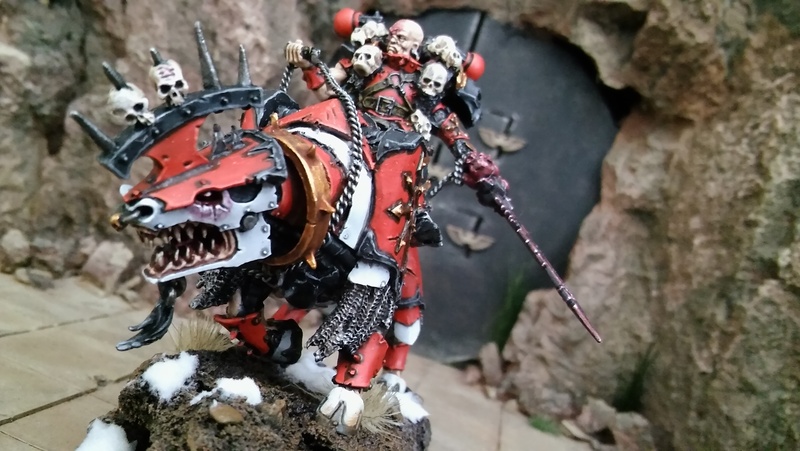 I look forward to seeing him advance with his juggie alongside your Maulerfiends and Bikers in future batreps! This guy is outstanding steam. Truly wonderful. 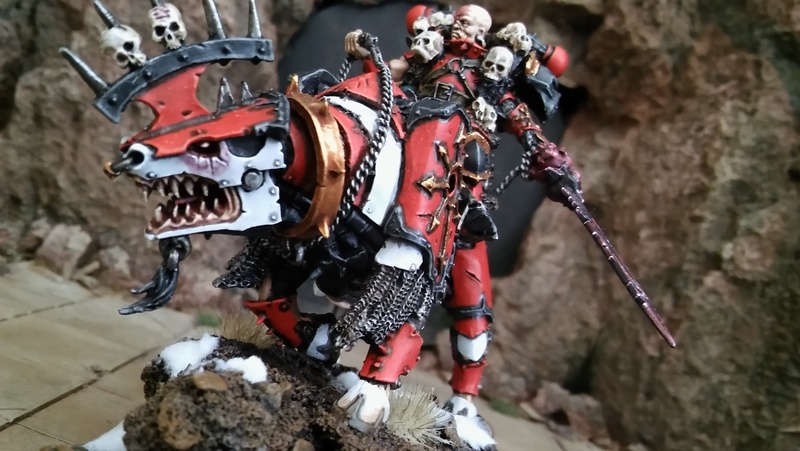 Great conversion with a great paint job. The white in particular is pristine! 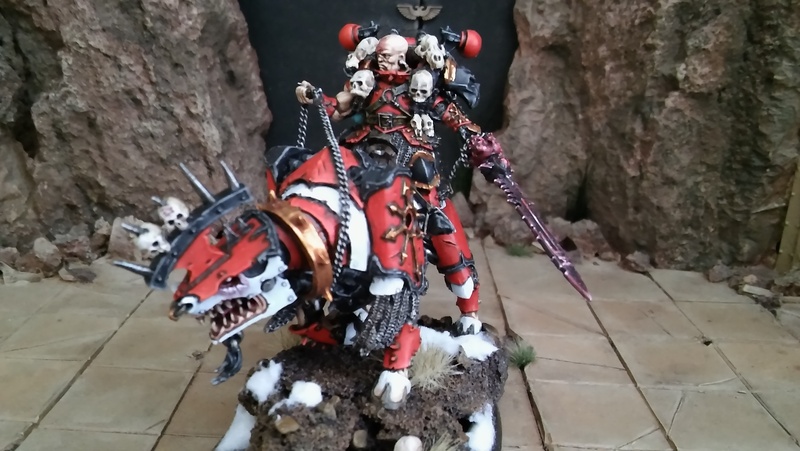 The white on the model is really crisp and well executed. On the whole it is awesome! 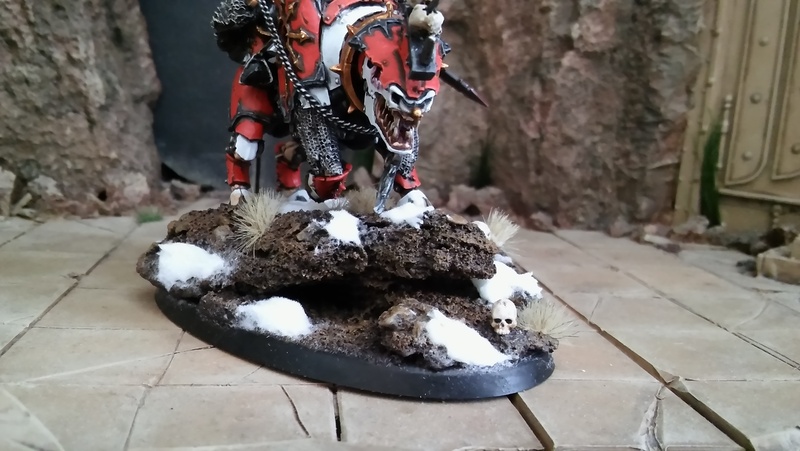 Seriously in love with that white, may possibly steal this when I come to my own Khorne stuff thats been sitting for so long haha. "I murdered thousands for the Emperor and he gave me nothing except his damning silence. Now his lapdogs yap for every life I take, while the gods promise me the galaxy..."